Yes, I do believe Gordon Ramsay is the most caring of individuals. Let me unpack that a bit for you. My experiences with Gordon on and off camera have been rewarding and inspiring. As you stated, Gordon’s on camera presence can be extra-coarse at times and the reason for this is that Gordon’s on-camera persona is meant to get the best from within you. I believe in order to get the best from a person it is sometimes necessary to make them uncomfortable. As with my son I will always encourage him to improve, grow and mature. Gordon has an objective on camera with the people that stand before him and that is to get their best. If the person is going to work in a kitchen at that level of professionalism they must develop a thick skin. They must endure the everyday demands of the job, I believe Gordon is simply giving each person the opportunity to succeed within that capacity. And I believe Gordon works as hard as he does, in order to directly benefit his immediate family but also his extended family. The amount of people that are employed because of Gordon is mind-boggling. This guy has definitely made a significant, positive impact within our present moment of today. I’d like to invite you to describe what kind of role cooking plays in your family’s household. In my house, food is central to togetherness. My wife and I both cook, but we also frequently have our kids help in the process. A follow up question to that would be, how important do you feel it is to eat together as a family, and do you have a lot of memories of meals spent with your family? That’s a great question. My experience with cooking and food is probably not paralleled with most families and to give one example is that when my son was age 1, I moved our family to a land trust to live in a community so we could grow our own food and live close to the Earth. For the first 5 years of my son’s life, we lived on the farm using compostable toilets, harvesting our own veggies, tending bees, collecting eggs, raising chickens, and wild-harvesting food. To say that making our family’s food center to life is understating the devotion we one time invested to the prosperity of the sustainable food we integrated into the average day. My wife, at the time, worked in childcare, and she played an important role in my son’s early education in regards to reading and writing and those very important first years of development. I provided the hands-on survival skills that my son has been able to take with and use in his everyday and, of course, we both gave him the love and attention needed for a healthy life. To the point of eating together, which I believe to be important, I also believe that showing my son I care is more important and I can describe that in this way. There have been many times when I have not been able to make it to the dinner table and the same goes for my son. So I have to come up with new ideas and new patterns to make sure I keep that connection alive and growing. Over the years, I have done many different things to implement and strategize. One thing recently is that when I know we won’t see each other during the evening, I take him to the park in the morning, and we will exercise together or play hoops. I also pack a handmade lunch for him that I know will give him the nutrition to fuel his entire day. The result of that connection is that he just got the presidential award for athletics at his school. One of only three students to receive that. This is a boy that does not do organized sports, but is in the drama and choir clubs. Another thing to keep the connection alive is we pick a word for the week which he will demonstrate and relate back to me. For example, one week he will pick ‘Integrity’ and he will share how he displayed actions that involve integrity. Another is setting goals. Our recent goal is that he wants to be the next “American Hero” so now he is working on all the things necessary for him to become that. I ask him what that idea looks like to him and we begin to execute that in our everyday life. And yes all of the above mentioned are directly related to my own experiences growing up. I lost my mom at age ten and my father is diagnosed Schizophrenic and were never able to develop a typical father/son relationship. I lived with many families and so I learned how important it is to love and be loved. It has taken my entire life to understand and feel love and it is something I work on everyday. Even today as I write this to you, I realize I have so much to learn about how to express myself as a person who truly cares for the well being of my son, my family, my friends and community. 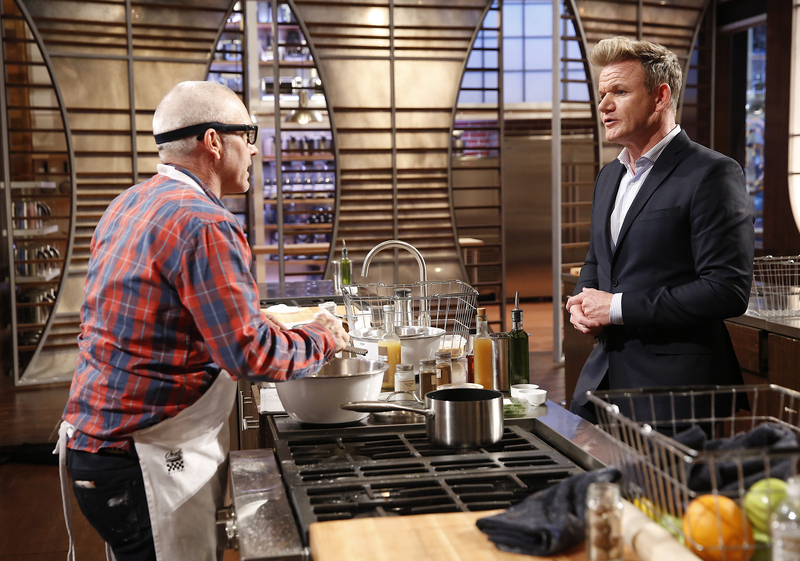 MASTERCHEF: Contestant Stephen and Gordon Ramsay in the all-new “Moo-vers And Bakers” episode of MASTERCHEF airing Wednesday, July 22 (8:00-9:00 PM ET/PT) on FOX. CR: Greg Gayne / FOX. © 2015 FOX Broadcasting. Do you have any moments when you challenged the norms or tested the boundaries for the good of your family? What’s the toughest part of being a dad? and what about being a father gives you the most joy? These are tough questions, the toughest part about being a dad is seeing my son hurting, sad, or upset and realizing there is nothing I can do about it. I have to let my son make his own mistakes and hope he learns from them and won’t have to repeat the same mistakes too often. I get the most joy with my son with his happiness and personal achievements. When my son is able to navigate through life and help others to do the same. My son is a compassionate, loving and caring young man and I am deeply proud and honored to call him my son. Thank you, Stephen, for taking time out of your schedule, to chat fatherhood with me on Mindful Dad! 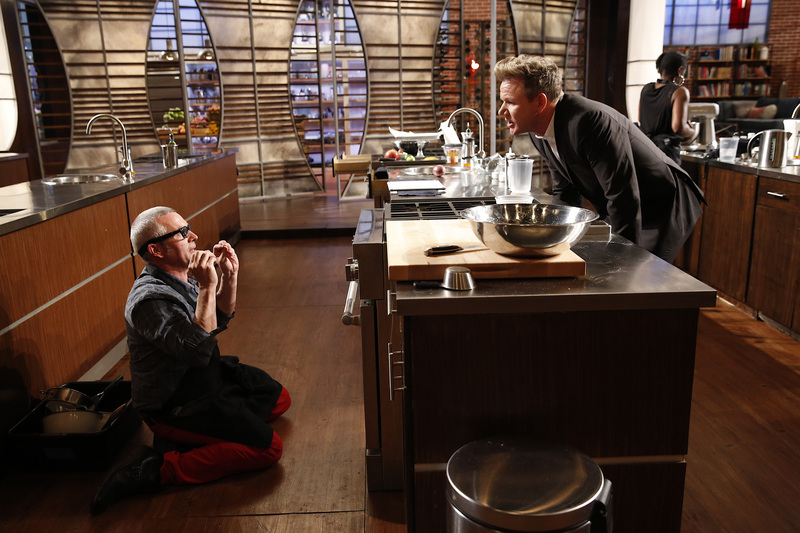 I have to admit, my favorite Stephen moment from Masterchef had to have been during episode 12, when you were surprised on the set with a visit from your son! Just from seeing the way you greeted your son, we could all clearly feel the love and dedication to your family, so I have to say, I am truly honored to have had this conversation on fatherhood! 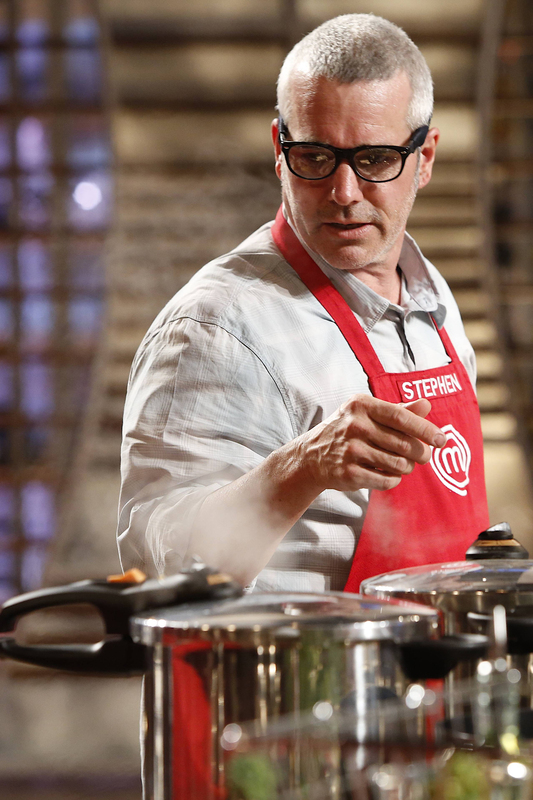 For more of Stephen Lee, watch Masterchef on Fox, or visit https://www.facebook.com/Stephenleecooks to learn more.